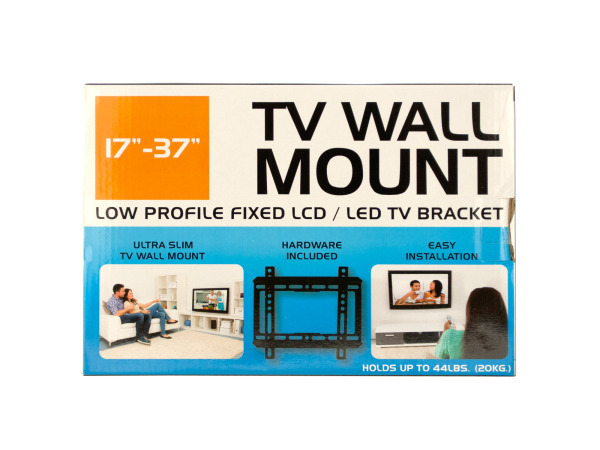 Save space and enhance your viewing experience by mounting your television to the wall with this Small Low Profile TV Wall Mount featuring an ultra slim fixed LCD/LED TV bracket made of heavy duty steel. 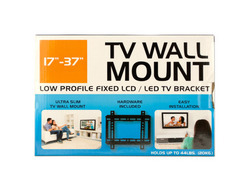 Designed for 17"-37" televisions. Holds up to 44 lbs. Hardware included. Easy installation. Comes packaged in an individual box. Box measures approximately 10.75" x 1.25" x 7.5".